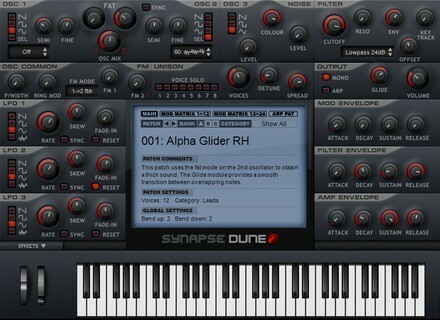 Dune, Virtual hybrid synth from Synapse Audio. 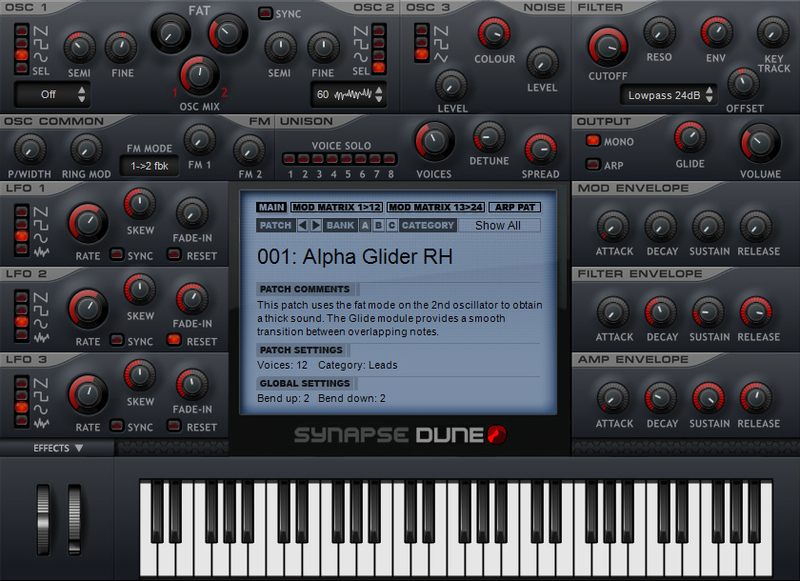 Synapse Audio has announced that the Mac OS X VST version of its new synthesizer plug-in DUNE is now available. Dune is a subtractive/virtual-analog type synthesizer which introduces new features. The differential unison engine (DUNE) takes the concept of subtractive synthesis to the next level, by allowing control of each unison voice. This is designed to extend the range of possible sounds, reaching deep into FM and Wavetable synthesis. Both the full and demo versions have been updated. The price is $139. Tone2 ElectraX To Be Released This Week Tone2 has announced that they will release their ElectraX synthesizer this week. SynthFont v1.521 SynthFont has been updated to version 1.521 and VSTSynthFont has been updated to v1.050. Minnetonka Audio Redefines Dolby E Value Minnetonka Audio Software announced today new pricing on the entire family of Dolby E solutions, including standalone encoders, decoders and bundles.